Do you know the history of this Plaza Westport neighborhood block? Homes in Plaza Westport, seen here in a 1940 photo, were built for working class families around the turn of the 20th century. Instead of drinking away their paychecks, developer S.H. Taylor advised working citizens of Kansas City to invest in real estate. 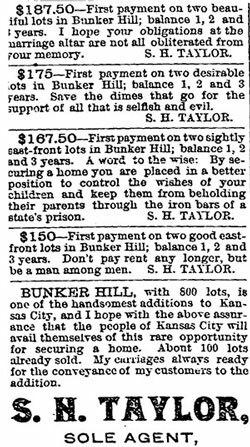 Taylor sold 20 lots in Bunker Hill in 1887, in the area we now call the Plaza Westport neighborhood. He advertised it as close to streetcar lines and surrounded by elegant homes, churches and schools. Much of the well-known history of Kansas City tells the stories of the richest citizens, but Midtown as we know it today was also built by blue-collar workers. Because of the high-quality materials used in construction from the late 1880s to the 1920s, many of these working-class homes are still attractive places to live. 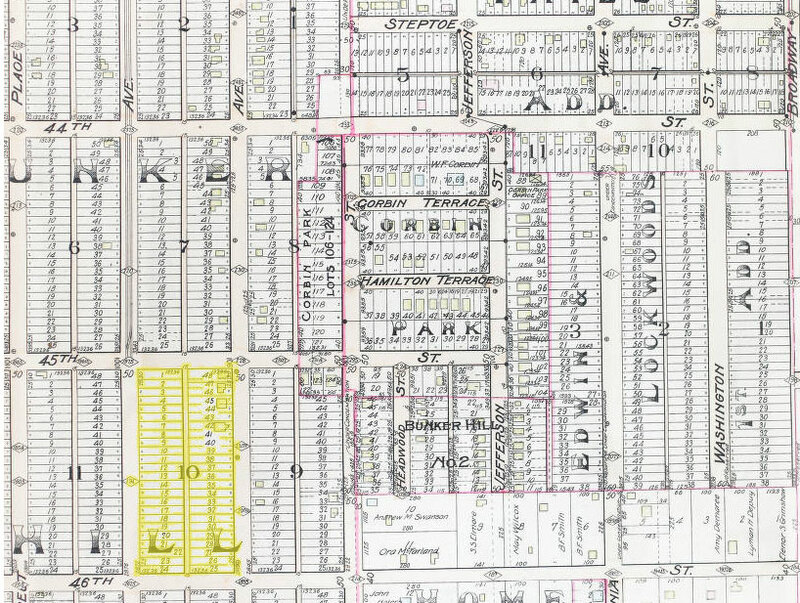 The map below shows the Plaza Westport area around 1907, with the featured block highlighted in yellow (click on the map to make it larger). Note that the Corbin Park area was just to the east and the Steptoe section, an area settled by freed slaves, was just a few blocks north when Bunker Hill was being developed. 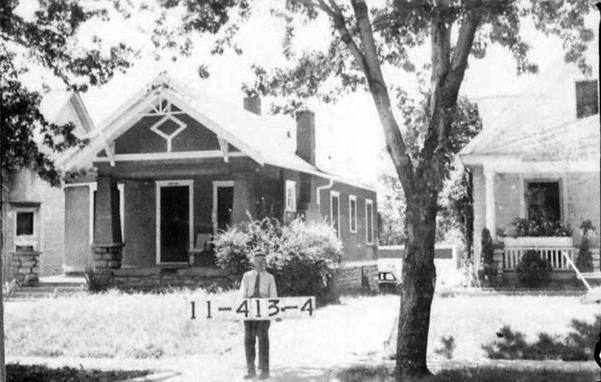 And the slideshow below shows the same block in 1940. Tuttle and Pike Atlas, 1907. There’s still a lot more to learn. Do you remember this block? What special memories do you have of this section of Midtown, which is now in the Plaza Westport neighborhood? What questions do you have about it? Let us know and we’ll share your history and help to preserve it on our website as part of our Uncovering History project.